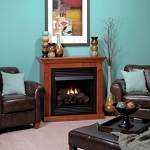 This fireplace requires a Barrier Screen to complete the unit. Click on the photo to view these and other accessories for this model. 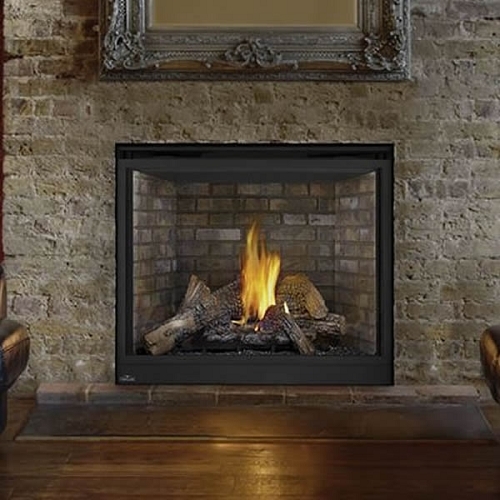 Liner options for Premium Models include: Aged Brick, Herringbone, Stacked Limestone, and Black Reflective. 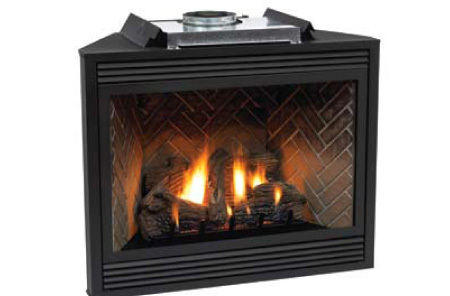 Many Tahoe fireplaces are heater rated, with a maximum Steady State Efficiency of up to 82 percent. Louvers at the top and bottom help circulate the warmed air. All controls are discreetly concealed behind the lower panel. of screws and fasteners – for a more rigid box that eliminates installation headaches. All models include glowing embers and lava rock for the ultimate in realism. Fireplace barrier screens, required for all direct- vent systems, protect you and your family from inadvertently touching the hot glass.